The Bridgeport Sound Tigers are very avid contenders for best promotional nights in a hockey season, and today, we learned that a lot of fan favorites at Webster Bank Arena will return again for the 2017-18 Sound Tigers campaign. The Sound Tigers do not have a game at all on Halloween this year, so just like last year, they will be hosting an early Halloween against the Wilkes-barre Scranton Penguins. The first 2,000 fans will receive a trick-or-treat bag in which they can collect gifts and treats on the concourse, and everybody is welcome to participate in a costume contest. Another return of a highly-regarded event last year as you can meet the best of DC’s Justice League during the Sound Tigers’ 7 p.m. matchup against the Hartford Wolf Pack. You will be able to take pictures and get autographs, and the first 2,500 fans in attendance will receive a light-up trident. The favorite last year out of all of the promotional nights. 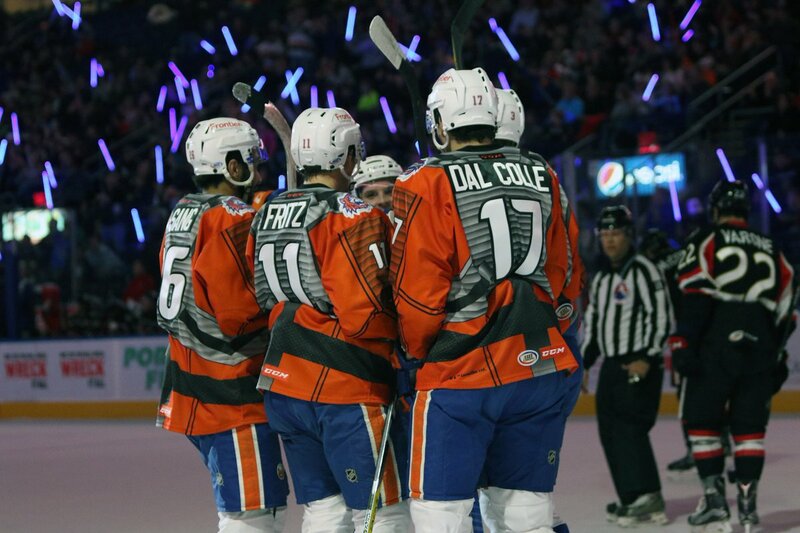 While hosting the Utica Comets, the first 3,000 fans will take home a limited-edition Sound Tigers light saber and the team will wear special Star Wars jerseys during the game, which will be up for bid at a silent auction benefiting the Bridgeport Hospital Foundation. You will also be able to see some of your favorite Star Wars characters throughout the game. Another returning favorite from last year, you can meet Spiderman, Hulk, Iron Man and Captain America during the Sound Tigers’ matchup against the Hershey Bears on Saturday, Jan. 27. Your favorite characters will be available for pictures and autographs on the concourse. Also, all Boy Scout troops are also invited to skate on the Webster Bank Arena ice before the game, and sleep over afterwards. Meet popular fairy-tale princesses during the Sound Tigers’ matchup against the Hartford Wolf Pack. Additionally, each princess will be available for pictures and autographs on the concourse. The Bridgeport Sound Tigers are well regarded for their promotional nights, and they are continuing to host fun and entertaining nights for kids of all ages.